When reviewing employee background check services it’s important to note that their are only a handful of top tier companies like First Advantage Background Checks. My research has led me to determine that TalentWise and First Advantage are the top two employee background check companies for several reasons. In this article we will focus on the First Advantage background check company and reveal how they continue to maintain their place at the top. First off, a First Advantage background check can help close the door on incompetent, untruthful, and criminal job applicants. They conduct close to ten million employment background investigations each year. Their Fair Credit Reporting Act compliant screening system has an international web that helps not only verify job applicants’ histories in the United States, but many countries around the world. The First Advantage background check offers preemptive protection for your company, and helps weed out undesirable employees before their first day on the job. 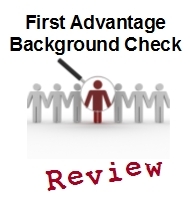 First Advantage Background checks are the most extensive in the industry. The length that they will go to, in order to pre-screen your job applicants is unsurpassed. Their exhaustive criminal searches begin at the federal level, and then work their way down to state and county levels. They also have a nationwide civil court search to help uncover any discrepancies found in other jurisdictions. All education records are verified, and the information is cross checked with the applicant’s job application. It’s well known that many job applicants are dishonest when it comes to their education and grades, and some go as far to create fake transcripts that give them higher grades. There’s no need to take an applicant’s word when it comes to education. Also, they dig deeper into personal character references, check on previous bankruptcies, judgments, and check on the validity of professional licenses. In addition to the standard First Advantage background check, they use the NationScan™ Criminal Index. This special screening process helps uncover criminal records in 42 states. Some of these records don’t show up in normal criminal background searches. In addition, it includes a national sexual predator database for all 50 states. In one test that First Advantage conducted, they found an additional 61 criminal records out of over 1,500 searches. These included assault, Driving Under the Influence, and drug possession. Additionally, there were seven felonies, including: check fraud, theft by deception and battery. Forty one of these offenses were found in countries that were not searched in other checks. This shows that some people can still slip through the cracks, even with standard employment background checks. A First Advantage background check also includes fingerprinting, screening for substance abuse and I-9 employment eligibility verification. If you employ foreign workers, it can be very difficult to completely verify their records. First Advantage background checks are done in many foreign countries. Whether your applicants are from the Middle East, Canada, Asia, Europe, or the Pacific region, First Advantage background checks can screen these applicants. This is done through contacts that they have in these countries. This allows your company one extra added layer of protection. In conclusion, Rogue employees cost the nation’s companies millions each year. Most employees are hard workers and honest. However, it only takes one dishonest employee to bring down a company. It’s well documented that First Advantage background checks are top class. If your company cannot afford to hire the wrong people, First Advantage is one solution to your hiring headaches. * Please Note: Learn more about employee background checks and find out how First Advantage stacks up to Talent Wise by checking out our employee background check section on the website. Can person background checks really prevent potential problems for you in the future? In one word, Yes! Conducting person background checks is quickly becoming a proven safety measure to protect yourself and your family from disloyal and unscrupulous people. The best part is, that by using the best background check service, you can easily gain access to people’s records to find out exactly who you are REALLY getting involved with. Over the next few minutes, we will discuss why person background checks are so important and exhibit how these searches can be time and money saving in a variety of situations. Person Background Check Reason #1 - Discover important secrets that your romantic partner could be hiding from you. Your romantic partner might not be the person she or he would like you to believe. Your companion might be hiding a repulsive past of destructive relations, bankruptcy and other screw ups. For most people, the past is a very accurate indicator of how things are going to be in the future. Humans think naturally in patterns and we tend to repeat the same mistakes numerous times before we finally learn from them. By conducting a person background check BEFORE you get to involved in a relationship you can save yourself time, money and heartache. 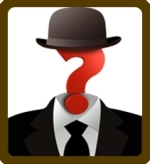 Person Background Check Reason #2 - Get better reading people and confirm your suspicions with solid proof. Understanding folks is such a vital skill in today’s society. It doesn’t matter what the circumstances are, you need to shield yourself first and make quality decisions about who you allow into your life. Sadly, reading people isn’t a powerful suite for most of the people. Even if you’re skilled at this skill, conducting a person background check is a good way to confirm your claims. Person Background Check Reason #3 – Doing person background checks can be extremely handy when hiring an employee. Person Background Check Reason #4 – Find out if people are being honest and truthful with you BEFORE you let them into your life. It happens all of the time and nobody ever sees it coming. Sadly, the person you are helping, hiring or bringing closer to your family could be hiding a ghastly past that you do not want to get involved with. While you can’t always rely on folks to be completely honest with you, a quality background check service will give you the information you need to make smart decision. In final analysis, person background checks protect you from bad relationships and prevent future problems. It doesn’t matter if its business or pleasure, by inquiring into the people you plan on being involved with, you can save yourself both heartache and cash. The good news is that conducting these searches isn’t complicated or pricey. All that you need to do is partner up with the best background check service company and let them take care of the rest. * After reviewing all the major background check services, we’ve found that US Search provides the fastest, most detailed, and lowest cost background check services. CLICK HERE to run a background check with US Search now!